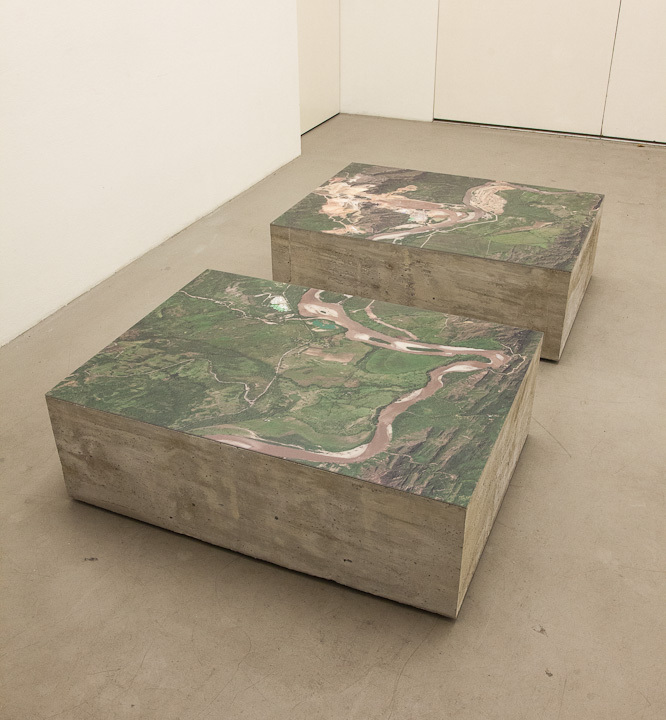 Carolina Caycedo is taking the resistance against the »El Quimbo« dam construction project in western Columbia as a starting point for her solo exhibition at the daadgalerie. The artist is involved with a group of activists working against the project, which will prove massively invasive and damaging for the Rio Magdalena region. 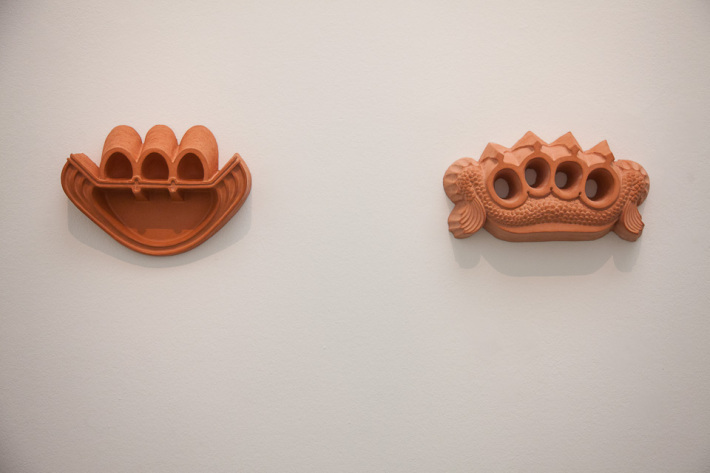 Caycedo was a guest of the DAAD Artists-in-Berlin Program in 2012; during her stay she focused on the history of dam construction in Germany. Film footage of numerous research trips to dam sites in the Harz Mountains, Saxony, Westphalia and the Black Forest is linked to images of the Rio Magdalena region and its inhabitants via a two-channel video installation titled »Spaniards Named It Magdalena But Natives Call Her Yuma«. 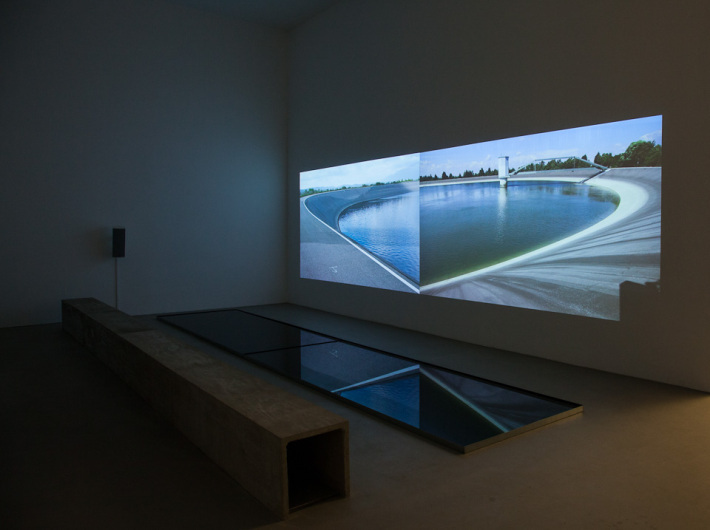 Extending beyond these concrete documentary aspects, the film illuminates social power structures and control mechanisms, particularly in connection with the activities of multinational corporations – for example, by placing images of controlled bodies of water alongside footage of urban crowds. The sound track, the narrator’s voice whispering in Spanish and English, tells of the artist’s personal perspective, her own experience with a river she has known since childhood, as her family lived by its edge. 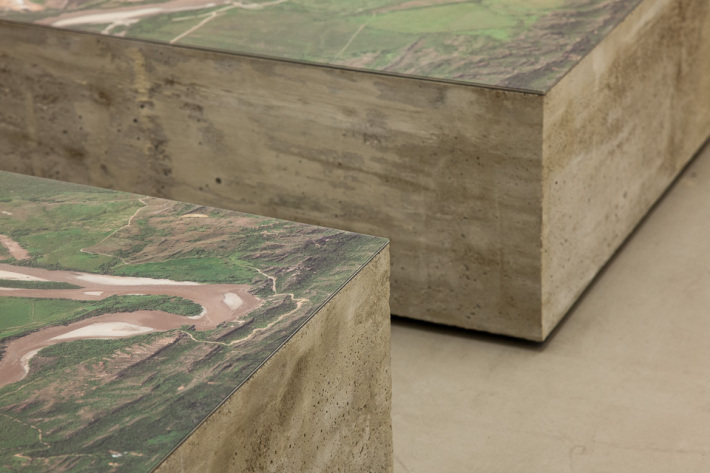 The satellite photograph »Damned Landscape / Paisaje Respresado«, mounted on two concrete plinths, demonstrates the extent to which the local landscape has already been destroyed, whilst the two concrete reliefs titled »Three Arched Knuckle / Manopla Triple Arco« combine the formal analogy of the Linachtal dam and a knuckleduster once used by the Chilean military, thus condensing these in a symbolic manner. The text which Caycedo has chosen as the exhibition title first caught her attention in its Spanish version on a banner used during a demonstration in Brazil. Only after researching its origin, did she find out that it is the first verse of Brecht’s poem »On Violence«.